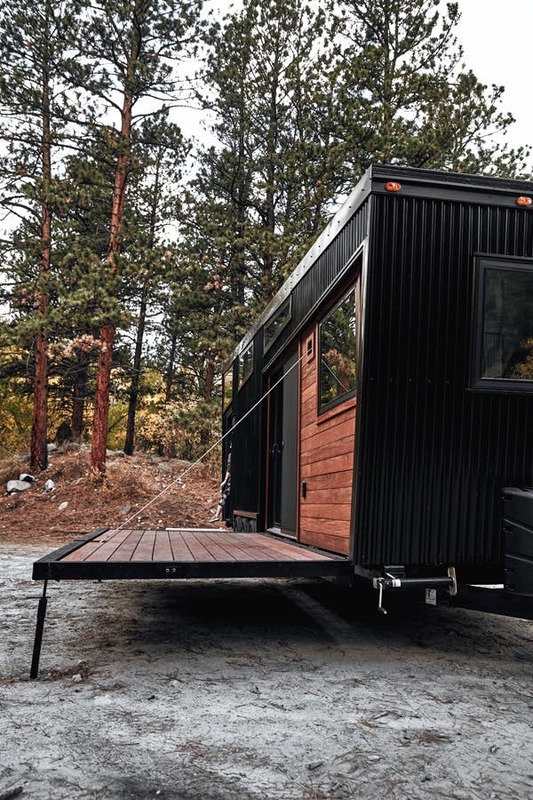 Land Ark’s most recent portable house is 30 feet long, sports interiors of white pine, and carries an outdoor deck that can be cranked into leisurely place when the camper’s landing gear is down. It’s called the Draper, and it’ll set you back around $150K to hook it to the back of your pickup or SUV. It might look heavier than a typical fifth wheel. It is. The Draper’s dry weight measures in at over 16,500 pounds. But, although that sounds like a road going albatross for a 30 footer, the Draper has a hitch weight of about 2,200 pounds. You’ll need a stout vehicle to haul it, but nothing exotic. Like all Land Ark models, the Draper is engineered well and employs eco-friendly and frequently eye-friendly materials for its construction. 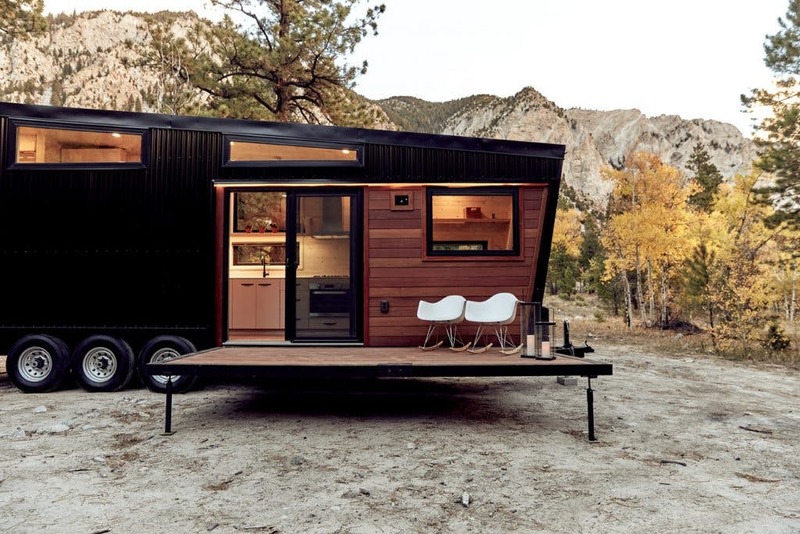 It looks unbelievably cool, a cottage on wheels with accents of Brazilian hardwood (sustainable, of course), series windows, and a decidedly individualist overall appearance. Sort of mid-century meets Pacific Northwest cabin. On wheels. Aside from pine, the Draper is built with corrugated metal, vinyl, and rigid or closed cell insulation. The interiors are open-feeling and unpretentious, with clean lines, all the functionality necessary, and a few nifty touches, including custom cellular shades, Sunbrella curtains, and a tankless hot water heater you’ll be thankful for if you decide to convert the living room into a guest room in order to accommodate guests.